You can also download the entire Richard III translation as a PDF! Enter STANLEY and Sir CHRISTOPHER. STANLEY and a priest, Sir CHRISTOPHER, enter. Sir Christopher, tell Richmond this from me: That in the sty of the most deadly boar My son George Stanley is franked up in hold; If I revolt, off goes young George’s head; The fear of that holds off my present aid. So get thee gone. Commend me to thy lord. Withal, say that the queen hath heartily consented He should espouse Elizabeth her daughter. But, tell me, where is princely Richmond now? Sir Christopher, bring this message to Richmond for me: my son George Stanley is locked up in the deadly boar's pen. If I revolt, off goes young George's head. My fear of that happening prevents me from helping right now. So go quickly, and give my regards to your lord. Also say that Queen Elizabeth has readily agreed that Richmond should marry her daughter Elizabeth. But tell me, where is princely Richmond now? At Pembroke, or at Ha'rfordwest in Wales. At Pembroke, or at Haverford West in Wales. What men of name resort to him? What noblemen have joined him? Sir Walter Herbert, a renownèd soldier; Sir Gilbert Talbot, Sir William Stanley, Oxford, redoubted Pembroke, Sir James Blunt, And Rhys-ap-Thomas, with a valiant crew, And many other of great name and worth; And towards London they do bend their power, If by the way they be not fought withal. Sir Walter Herbert, a renowned soldier; Sir Gilbert Talbot; your brother, Sir William Stanley; Oxford; the powerful Pembroke; Sir James Blunt; Rhys-ap-Thomas, with a brave crew; and many other famous and powerful men. They're now sending their armies straight to London, if they don't have to fight along the way. [gives him a paper] Well, hie thee to thy lord. I kiss his hand. My letter will resolve him of my mind.Farewell. [Giving him a paper] Well, hurry to your lord. Kiss his hand for me. This letter will explain my thoughts to him. Farewell. Cosby, Matt. "Richard III Translation." LitCharts. LitCharts LLC, 11 May 2014. Web. 18 Apr 2019. Cosby, Matt. "Richard III Translation." LitCharts LLC, May 11, 2014. 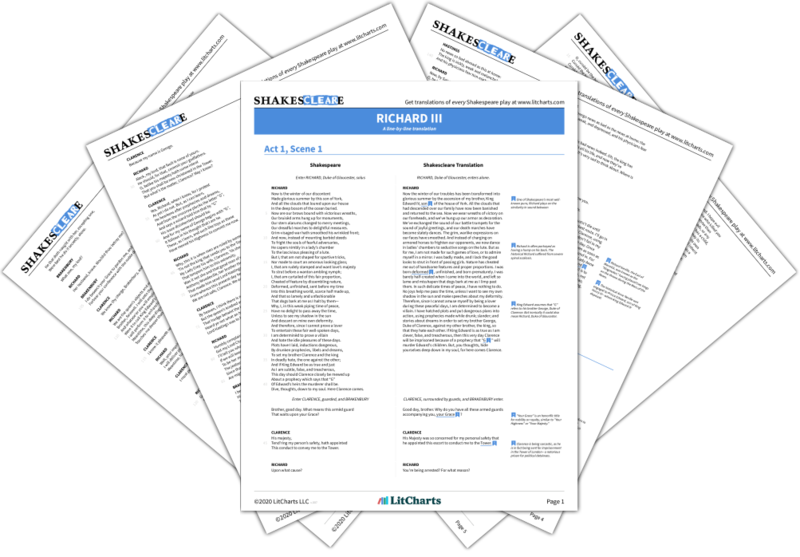 Retrieved April 18, 2019. https://www.litcharts.com/shakescleare/shakespeare-translations/richard-iii. Join LitCharts A+ and get the entire Richard III Translation as a printable PDF. 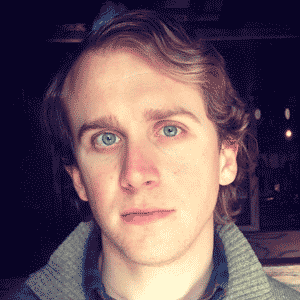 Matt Cosby graduated from Amherst College in 2011, and currently works as a writer and editor for LitCharts. He is from Florida but now lives in Portland, Oregon, where he also makes art, plays the piano, and goes to dog parks.